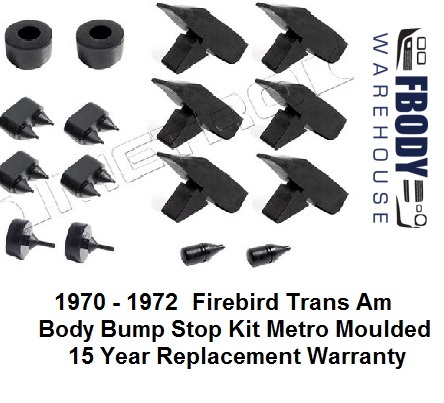 This is a full 1970 - 1972 Trans Am Bump Stop set. 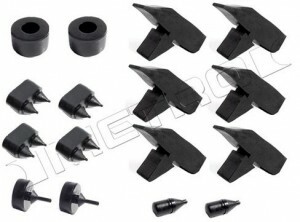 This set replaces all the old factory bump stops and includes the following items. Door bump stops, trunk lid bump stops, glove box and ashtray stops, front fender to hood bump stops, and also the hood height adjuster stop pads. 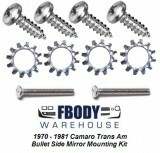 Install is simple, and takes a very short time. This is always a good idea after paint to ensure proper fit and function of the doors, and trunk, as well as the hood.